Coin-operated entertainment machines are a great source of extra revenue for a bar. The eclectic nature of most bars means that coin-ops of all styles, sizes, and functions can fit perfectly within your surrounds while adding to the fun and flavor of your establishment. The profits that coin-ops generate can be huge; they can also run a lot deeper than just the money inserted into the machines. Coin-ops increase traffic, generate great repeat business, and keep people in your venue far longer. Coin-ops also give people who arrive alone a chance to do something as they sip their drinks. From high-tech games to virtual reality to pool tables, anything that gives your customers added entertainment is a good option, especially if it will bring you higher profits. These machines are cheaper than renovations but can contribute nicely to your profits. Profit-based coin-ops. Some coin-ops don't have to cost you a cent, but they can bring in a good source of revenue. Simply open the phone book and look under "Coin-operated" and you'll find a slew of companies that will bring you games and entertainment for your customers for no charge—other than a share of the profits. This kind of a deal can only be good for your business. No maintenance worries and you get a new machine whenever an old one stops earning money—all free of charge. Deal directly with the machine manufacturers. In a scenario like this, your venue will handle most of the daily maintenance required of the machines and the manufacturer's repairperson comes out only as needed. While this limits your selection of game alternatives, when you want to switch games, it's only a matter of changing a couple of computer chips. The actual game casing stays the same, but a completely different game appears, keeping your customers from getting bored with their options. Don't forget change machines. If you are going to offer coin-ops, make it easy for your customers to use the machines without taxing your staff too heavily for change. One change machines is all that is needed. Responsibility. If the machine is on your premises, take responsibil­ity for it and either return the customer's money or see to it that your supplier can fix the malfunctioning machine A.S.A.P. There's nothing worse than wanting to play a machine and finding it switched off— again. Photo-machines. Customers put up to five dollars into the machine and step in to have their photo taken. In a few minutes, they can have their image on stickers or postcards; they can even pick a background. These machines are huge moneymakers and can even incorporate an ad for your bar within the picture. Your local phone directory will list plenty of suppliers. Lottery machines. If your state allows them, they can be a great source of revenue. The latest machines work much like slot machines in Las Vegas, allowing customers the chance to win big. 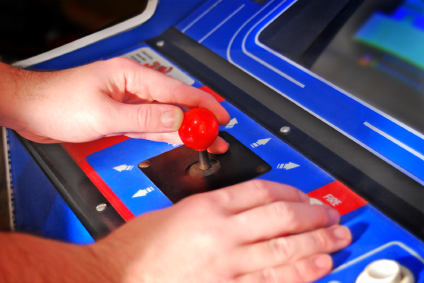 Retro arcade machines and video game machines are very popular and go well with bars. Many people love these games and gladly spend extra time at a bar in order to play them. Dancing machines. Patrons throw a dollar into the machine and step onto a stage that features a series of lights. They then try to step on whichever lights flash to keep in time with an on-screen dancer. These machines can be very addictive and often draw a large crowd—which can't hurt your bar's takings. Again, any amusement machine vendor in your local phone directory should be able to supply this machine. Virtual reality (VR) sports are becoming a reality. More and more bars are installing VR golf ranges, VR batting cages, VR racing games, VR bowling alleys, VR hockey games, and VR boxing machines. These machines are the same as any other coin-operated gaming machine, except they cost the customer more and deliver a superior product. While they take up more room, they give you far greater profitability and extensive replay value. Coin-operated games come in many varieties. Just about any game you can think of has a coin-op version available. Football, air hockey, video games, shooting games, skee-ball, basketball games, even video poker and blackjack machines that fit into your bar-top—it's all available and it's all going to bring in a newer, younger customer for a minimum investment or no investment at all. The trusty pinball machine has been around since the late 1800s yet still uses the same formula as the pinball machines of old. Lights, sound effects, the bounce of the ball, the sound of the flipper, and the lure of a high score. 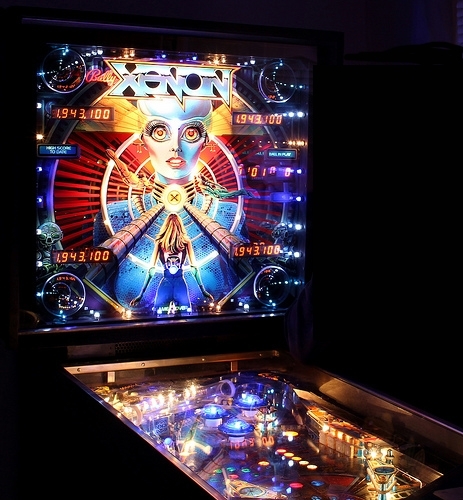 With a little smart thinking, your pinball machines can earn you a lot of money. Install a pinball machine in your waiting area. If you keep the noise levels down so nearby customers don't get annoyed, they can be a great moneymaker. Vendors can bring you the latest pinball machines for free and will split all profits with you at the end of the month. At 50 cents a game, a machine only needs to be played ten times a day to bring you $75 a month in profit sharing. Not a bad return on zero investment! Vintage machines. Invest in a vintage pinball machine rather than getting a coin-op company to bring in a high-tech modern machine on which you'll have to split your profits. Older machines cost far less to buy and a lot less to maintain, and the appeal of an old machine will bring back memories for your older patrons. Machines such as these can be purchased through online auctions such as eBay (www.ebay. com). Outright purchase. If you choose to purchase your own pinball machines, look in the classified ads in the newspaper or at local auctions for the best deal. Of course, purchasing your own machine will mean you're responsible for its maintenance, so look for a machine that either comes with an array of spare parts or that has been fully serviced recently. The older the machine, the tougher it becomes to track down spare parts when the time comes to repair them. 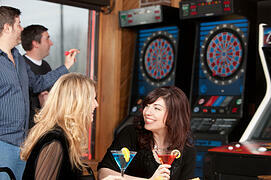 Long a bar game institution, the old dartboard has become high-tech. New technology. Look at what's available on the market today. The dartboard has received a technological boost. Coin-operated dart systems not only keep score for your patrons, but they also bring in a new source of revenue. Turnkey systems can be purchased or brought in under a profit-sharing deal. Dedicated area. Even if you can't be bothered with a coin-op version of darts, it still pays to set aside an area for a dartboard. Tournaments and leagues can bring in a steady flow of new customers. Offer your bar staff incentives to make sure that you are getting the business you need. Your staff can help customers find a venue (your bar) for functions or can promote a drink that is a known profit maker if they know that they will get more money for it. If a staff member books an event that brings in $500, a $50 incentive for the staff member is well-spent money indeed. Know which drinks make the most profit and advertise them. Knowing which drinks can help bring in the money is key. Once you have figured out which items bring in the most money, make sure that you advertise them. Have staff mention these drinks by name, and make these drinks more visible and more visually appealing. In many cases, suppliers will help by providing you with coasters, posters, or other items that advertise certain brands. Make sure your customers get value. Too many business owners (and bar managers) cut corners, thinking that spending less means more profit. Studies have shown that the opposite is true—if the customer thinks they are getting more than they can expect, they will often respond in kind by patronizing the bar and bringing their friends. Make it easy to linger. Have interesting television on in the background. Have your staff ask "How about a round of coffee?" rather than "Would you like the bill?" The longer people linger at your pub or bar, the more they will buy. Also, if your bar has some people in it, it will be more appealing and lively to other customers. Customers are valuable—never rush them out. Stay flexible. Keep eyeing the crowd, and if you notice shifts in the crowd, be flexible enough to change to suit the crowd. Did a bachelor party just come in? Adjust by running a one-off special on beer or by turning on dance lights. Is there a more sedate crowd tonight? Bring things down a notch with softer music and lights. Your customers will appreciate the extra touch and will be more likely to stay if your place is just what they're are looking for. Make sure that there is always someone on staff who can make executive decisions. If there is a profit to be made and a customer to be satisfied by veering from the ordinary (by preparing special drinks or booking special functions), be sure that someone on staff can make the right decision for the bar, fast. Cut down on how often you say no. There is no way to satisfy each customer, but do try to keep a variety of things on hand so that you can make the drinks and snacks customers demand. Don't spend lots of time or money trying to buy every item, but do stock up on items that can be used in the near future (sodas, non-perishables). Make sure your staff know what is on hand and have them suggest an alternative when the customer asks for something that is not available. Whenever someone at your bar says no, they are giving a patron an excuse not to return. Consider merchandise. A great logo on T-shirts, pens, golf shirts, baseball caps, key chains, lighters, and glasses takes up little room but can bring in as much money (or even more) than your beverage items. Consider vending machines. Vending machines are easy places for customers to get anything from antacids, breath mints, phone cards, bottled water, condoms, feminine products, snacks, to cigarettes. Vending machines allow you to make a profit without taking much effort. Your local Yellow Pages can easily put you in touch with vending suppliers near you. You can even place your snack vending machines outside the bar proper so that you keep earning money while the bar is closed. At the end of each month, it is important to close out all expenses and sales and balance all accounts. This process ensures that finances are being monitored and helps prevent financial problems down the line. It also lets you, the bar manager, see whether the bar is making a profit or not and what changes (if any) need to be made to operations. 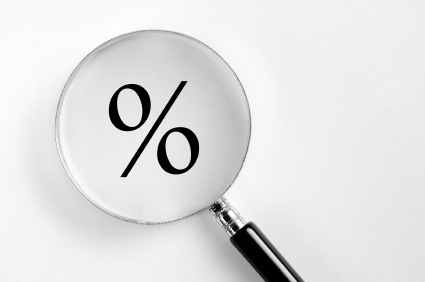 Closeout actually depends on what goes on financially in your bar all month. It is essential that all expenses are recorded each day. Not having a reliable list of expenses incurred is sure to result in inaccurate bookkeeping and many problems at audit time. You need to record all expenses—including those that are prepaid or those for which you get a bill. 1. Gather the completed inventory forms for food, liquor, wine, and operational supplies. 2. Using current invoices and past inventories, cost out the Inventory Form. The unit cost (or price) entered on the Inventory Form must correspond to the item and unit in the actual inventory. 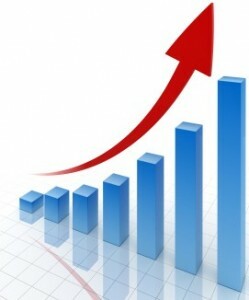 Correct prices are ensured by continual evaluation of invoices and/or contact with the suppliers. 3. Ensure that the employees organize and clean the storage areas and walk-ins so that the ending inventory may easily be taken the following morning. Combine all containers and bottles. Organize and label all shelves. 4. Schedule the bookkeeper and the employees involved in taking the physical inventory—the assistant manager, kitchen director, bar manager, and general manager—to arrive early in the morning prior to the start of business on the first of the month. 5. Schedule the preparation cooks to arrive an hour after the inventory crew so that you may inventory the food areas without disturbing them. double-check, and verify all the columns. C. From the employee time cards complete, total, double-check, and verify the Labor Analysis Form. D. Ensure that all purchases are recorded in the Purchase Ledger. Complete, total, double-check, and verify the Purchase Ledger for each company. 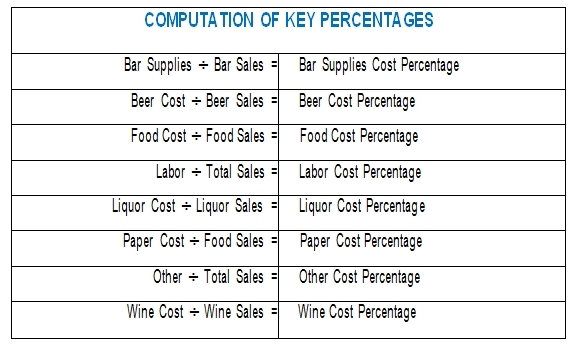 Total the purchases in each expenditure category: food, liquor, wine, and each individual operational category. Ensure that all paid-outs entered on the Cashier's and Bartender's Reports have been posted into the appropriate Purchase Ledger categories. Total the cash paid-outs. Add this figure into the purchase total for each expense category. Keep excellent records. Staying organized and holding on to all receipts is crucial. Invest in a filing cabinet and make sure to file all your receipts in a simple method that makes sense to you. 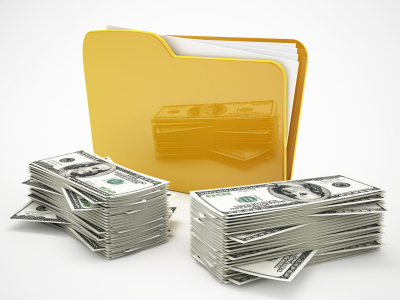 Ideally, you want to be able to find any financial paper within minutes. Set aside a time and place for money matters. Each day, you should spend time considering the financial side of business. You should look at and file receipts, make payments, tally profits and debts, etc. This will make staying organized a habit. It will also prevent a buildup of financial matters that seems insurmountable. Consider an accountant. An accountant can help you by showing up once a week or once a month to help you complete your financial statements. Hiring an accounting service will mean an additional bill to pay, however. You will also want to go over the accountant's work on your own, to see how the financial side of things works. In general, it is a mistake to leave the entire financial management of your operation to another person. If you hire an accountant, stay involved in the financial work of your bar. An accountant, however, can be handy in the beginning, when you are just starting to learn the ropes. Get tax help. One place you will want help is in taxes. Tax laws are so complex that you will likely miss write-offs and other items if you do them yourself (unless, of course, you are a pro at doing taxes for business). ◊ Sage 50 Complete Accounting is easy-to-use and comes with screen-level security and automatic accounting checks that give you confidence in the integrity of your information. Plus, it's installed on computers that you control locally. ◊ Intuit Quickbooks Pro. The most popular version of America's #1 small business financial software helps you save time and get more organized. New features show you exactly where your business stands and save you time so you can focus on your business. ◊ AccountEdge is powerful small business accounting software for Mac and Windows.Sales and purchases, inventory, payroll, time billing and contact management just scratch the surface of what AccountEdge can do for your small business. ◊ Bookkeeper provides you with the accounting functionality you need to easily manage your business finances. From check writing, payroll and credit card processing, to billing, invoicing, tax preparation, reporting and more, Bookkeeper eliminates the hassles of day to day bookkeeping and frees up your valuable time so you can focus on growing your business. Have a backup plan in case you suddenly can't use your cash registers. Power failures and sudden mechanical problems can cost you a lot of money and always seem to occur at the worst time. Keep paper receipts and a calculator or small manual register under the bar so that staff can continue to serve customers, no matter what.